How many times have you wished your favorite Snapchat filter could follow you around in real life? Like a million? OK, me too. Thanks to makeup artist extraordinaire, Allison Pynn, your dreams are now a reality. 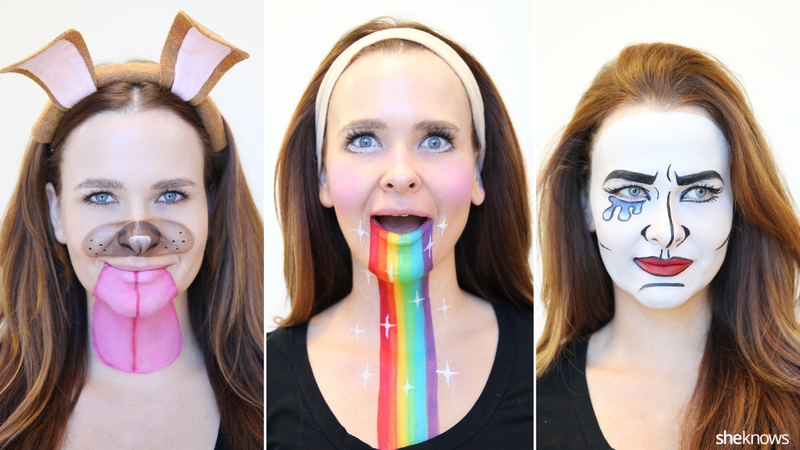 Guarantee yourself a place on the best costume podium this Halloween by turning yourself into one of Snapchat’s most popular filters: the dog face, the rainbow mouth or the crybaby. First up: The dog filter. Trace an outline of the ears onto a brown piece of felt and cut them out. 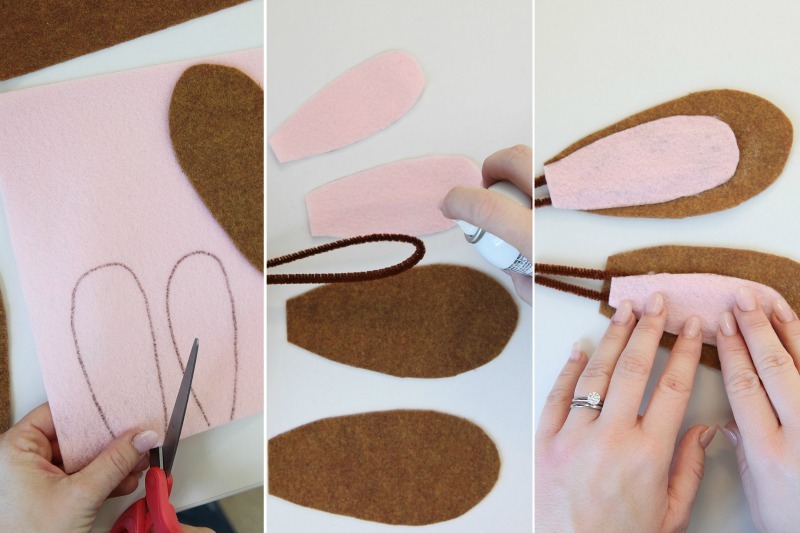 Trace a smaller outline on a piece of pink felt and cut those out as well. Bend a pipe cleaner into the shape of the ears and use spray adhesive to attach the pipe cleaner to the pink pieces of felt. Then spray the brown pieces of felt with adhesive and stick the pink pieces on top, with the pipe cleaner in-between. Leave a few inches of the pipe cleaner sticking out of the end of the ears. These pieces will be used to attach the ears to the headband. 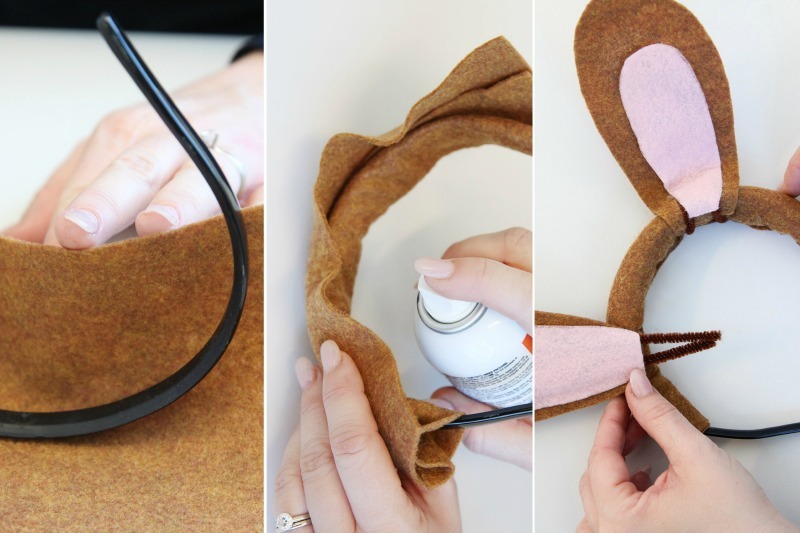 Wrap a piece of brown felt around a headband and use spray adhesive to adhere the felt to the headband. Once the felt is securely in place, attach the ears by wrapping the end of the pipe cleaners around the headband. 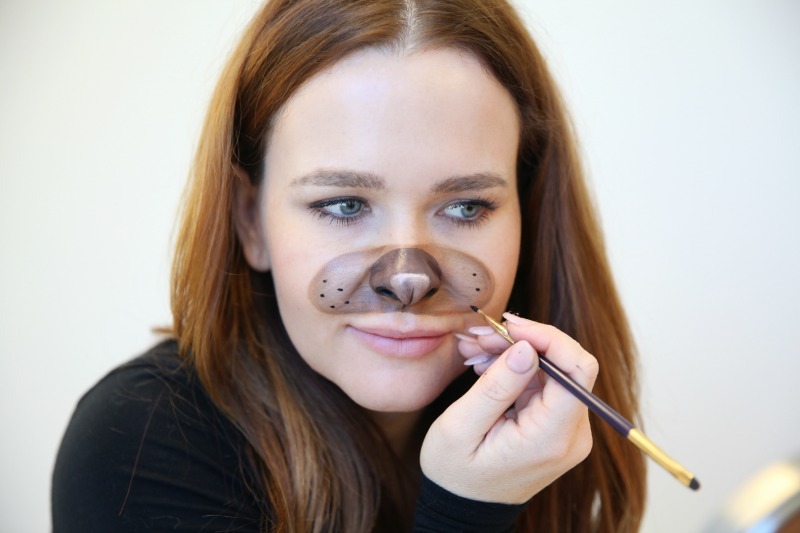 Use light brown face paint to draw the outline for the nose and fill it in. Use a darker brown to outline and fill in the tip of the nose. Give your nose some dimension by adding a little light brown to the tip of the darker section. 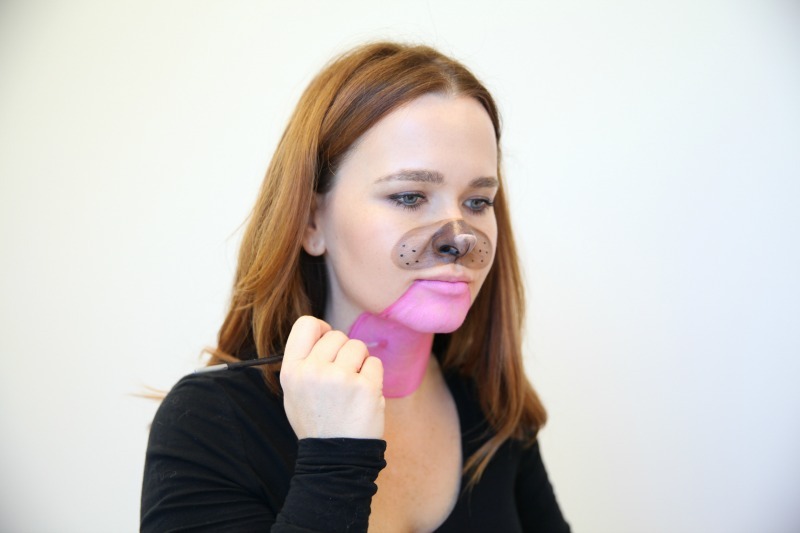 Use black face paint to draw a line down the center of the nose and to create the effect of having whiskers. 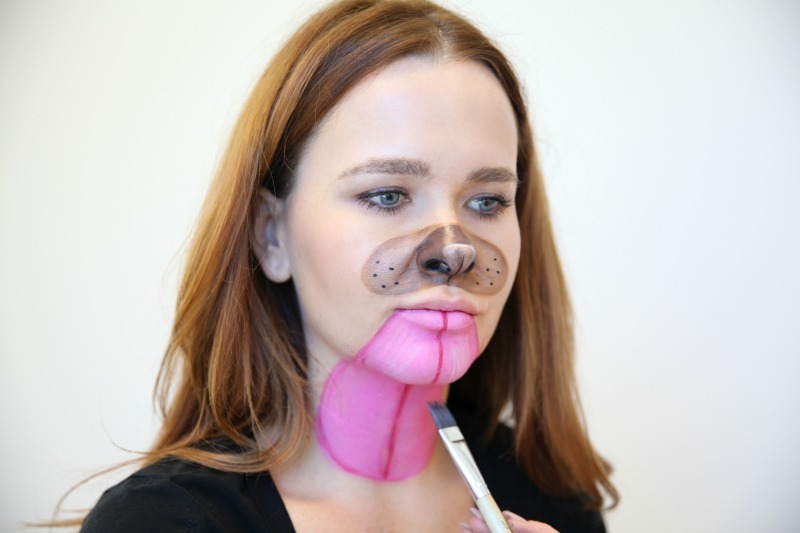 Outline the tongue with light pink face paint and then use a deep red to highlight the edges. Paint the entire inside of the tongue light pink. Use the same deep red used to outline the tongue to draw a line down the center of the tongue. You can mix a little white paint with the pink paint and apply the lighter shade to either side of the dark red line for added depth. Bend the ears so they tilt forward and securely place the headband on your head.